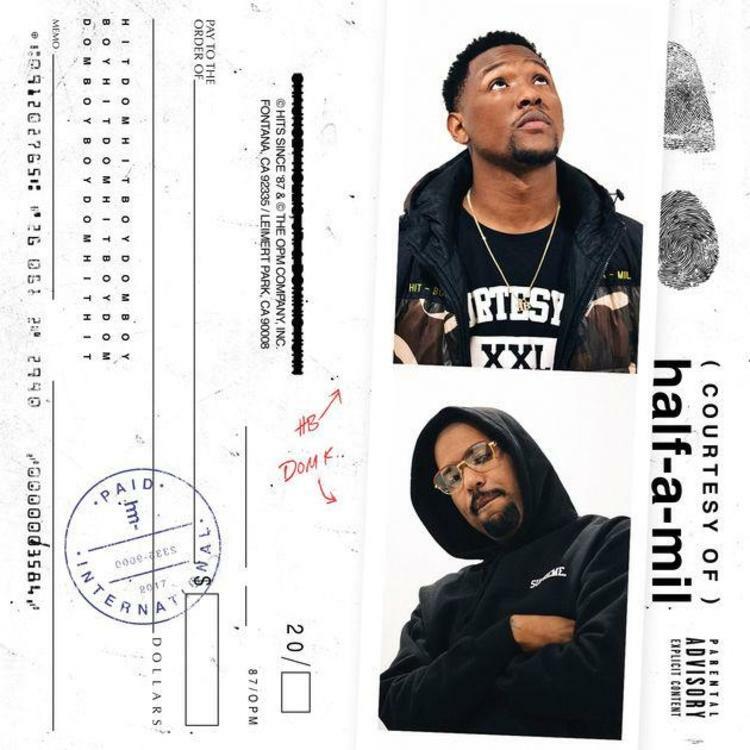 Home>New Songs>Dom Kennedy Songs> Dom Kennedy, Hit-Boy and Larry June Unite On "Fix Me A Plate"
After sharing three EPs, Half-A-Mil, the duo made up Dom Kennedy and Hit-Boy finally dropped their full-length LP last week. As expected, it's more of the West Coast futurism they've perfected over the last few projects, and "Fix Me A Plate" is a perfect example of what they do best. Assisted by Larry June, the track sounds at once like the past and the future. "You ain't had this feeling since Nate Dogg at least," raps Dom. Meanwhile, Larry June shares some similarly nostalgic brags. "My Jays from '88 / You ain't had this feelin' since Short in '97 / One button on the coupe / Roof flyin' away." All the while, the beat is icy and minimal, like Cali's answer to Pharrell's Hell Hath No Fury production. You can listen to the full project, which features guest appearances from Ty Dolla $ign and Tyus, here. SONGS Dom Kennedy, Hit-Boy and Larry June Unite On "Fix Me A Plate"